Still looking for a little something for the kids this holiday season? Harry Potter: Years 5-7 is a good choice. It brings what has become classic Lego game humor to the darker books in the Harry Potter series. It's amazing that the block-born characters can tell such great stories with little more than exaggerated movements and comical grunts. Check out the two videos below. One features locations, locations, locations, and the other displays some of the button mashing combat that you and a friend will enjoy. 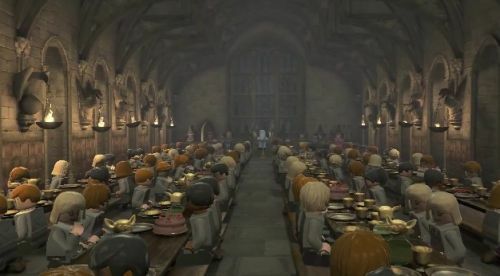 Lego Harry Potter: Years 5-7 is out now for the Xbox 360, PlayStation 3, PC, Nintendo Wii, Nintendo 3DS, and the PSP. It supports two player local co-op. Page created in 0.3973 seconds.